Part of an series of internal studies on the future of books, Bookstop took its inspiration from the Culture Hack movement and Consider The Library, a “hack” that utilised recently released catalogue data from Leeds Libraries to reveal which titles on Amazon were available from your local library. Carbon wished to revisit the notion of books as social objects, but accompanied by digital tools for orchestrating the sharing of books within communities. 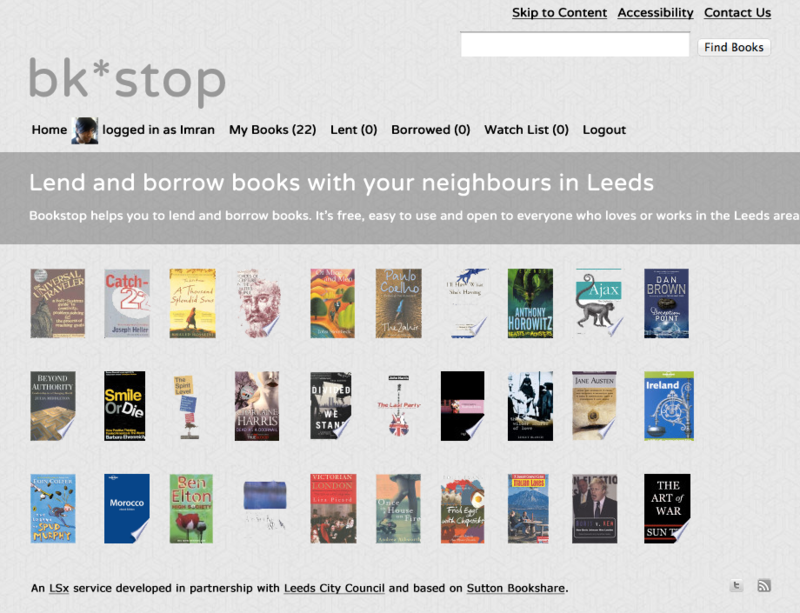 Using open source code from the Nesta funded Sutton Bookstore project, Carbon produced a prototype book-sharing service for Leeds, allowing them to share their collections. Ultimately, catalogue data from the city’s libraries service would be blended with reader’s collections, to provide a comprehensive public/private civic inventory of books. We also hoped, that the underlying platform might be used for broader sharing services, such as those envisaged by David Chiu in RentAThing.